It’s only Rock’n’Loll, but I like it! Ok, so that’s probably the worst pun ever… but that’s the way I roll. 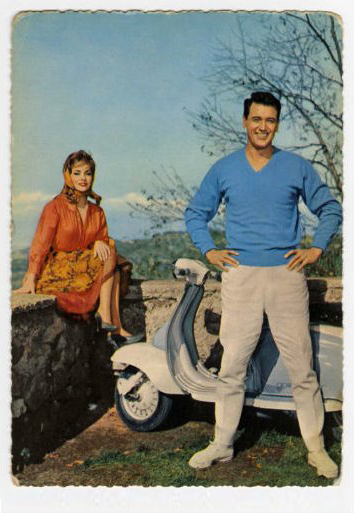 This entry was posted in Ephemera, Lambretta Imagery and tagged 1961, Come September, Gina Lollobrigida, Hollywood, movie, Rock Hudson, Series 2 by crocodilejock. Bookmark the permalink.